Fast assembly membrane structure consists of a membrane tent, one or more central supports and can be built with open or closed side walls. Such membrane structure does not require a frame or foundation thus resulting in lower manufacturing cost and weight. Large-size membrane structures (big membrane structures) can shelter large areas from elements, or can be employed as warehouses and production facilities. 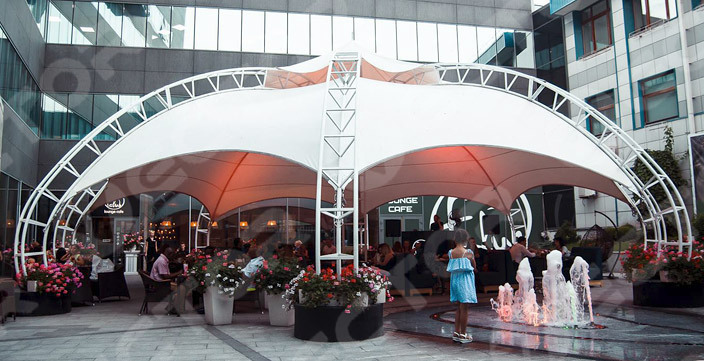 We have the capacity to manufacture membrane structures of any shape and size.